Atul Gujrathi, executive vice-president, Motor, HDFC Ergo General Insurance. Change is the only constant aspect that one can expect in life. Over the last few decades globalisation, technological advancements, modern medicine, mobility, social media and many similar aspects have provided a comfortable lifestyle as compared to our ancestors. We have come a long way since the wheel was invented. Modern technology has proven to be a boon for the ease of mobility. Automakers have strived to provide affordable and accessible vehicles across consumers of different income. With our aim to keep up with the rest of the world and consuming information on the go, we are not as cautious as we should be on the road. Road accidents claim more lives in India than natural disasters. The Ministry of Road Transport and Highways released the data for road accidents for the year 2017; there were more than 450,000 road accidents reported during the year claiming lives of more than 140,000 people. 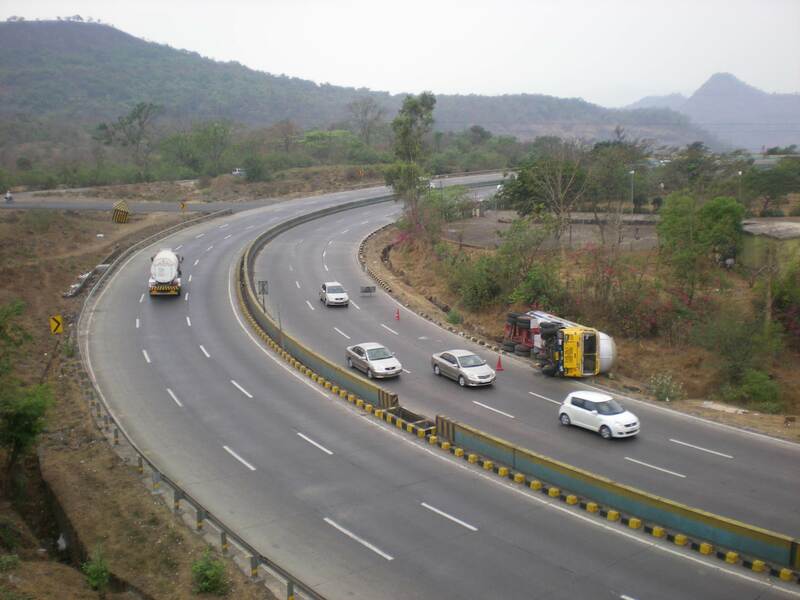 The National Highways which constitute almost 2 percent of the road network in India witnessed 30.4 percent of road accidents and 36 percent of deaths. Every hour, 54 road accidents take place, killing nearly 415 people every day across India – the highest number of casualties in the world. Given we continue to suffer huge human and economic losses due to road mishaps, India observes the ‘Road Safety Week 2018’ from February 4-10. As per the government data, a large number of young people within the age group of 18-45 years are victims of these fatal road accidents. Such tragic situations put a strain on the economy - healthcare, insurance and legal sectors; costing 3 percent of the GDP annually, according to a report by the erstwhile Planning Commission. While India has been trying to address major road safety issues, and take measures to avoid accidents and fatalities, a new set of challenges have emerged -those of distracted driving – such as using mobile phones while driving. This also includes any activity that diverts the attention of the driver such as ‘being lost in thoughts’, focusing on objects away from the road, eating and drinking, adjusting to internal controls, talking to co-passengers and changing or fiddling with the entertainment or navigation system. The insurance industry in India is working to bring down the collateral damage and economic losses emerging from road accidents across the country. As per the Motor Vehicles Act 1988, it is mandatory for all vehicles in India to be insured by Third Party liability insurance. In addition, it is important to have a Personal Accident (PA) insurance policy which offers lump sum benefits in case one meets with an accident. Many insurance companies offer an indemnity cover as well to suit the requirements as per the needs of the consumer. In July 2018, the Insurance Regulatory and Development Authority of India (IRDAI) and a directive by the Supreme Court mandated long-term Third Party motor insurance cover for new cars and two-wheelers for three and five years respectively. This move will, further, help increase the penetration of motor and two-wheeler insurance in the country. IRDA has also issued a circular mandating the compulsory Personal Accident cover for owner/driver for minimum sum Insured of Rs 15 lakh. Insured can choose this PA cover component as a part of the vehicle insurance policy or a standalone PA cover. This has specifically been implemented to emphasise on reducing the financial loss suffered by the driver’s family in case of any disability or death in the event of an accident. It will also be sagacious on an individual’s part to opt for add-on covers basis the risk exposure. For example, one could opt for an Emergency Road Side Assistance cover which will provide assistance if the vehicle breaks down at any location and provide emergency services like refuelling, towing, changing of a flat tyre and the services of a mechanic. There are also some additional covers which one can opt for such as a Zero Depreciation, Return to Invoice and Cost of Consumables cover. Today, there are a lot of developments in the motor insurance sector thatdetermine the safety of the driver with the use of new technology. The technological prowess of ‘Telematics’ factors risks to which a vehicle is exposed to while driving and is used to track the vehicle, summon roadside assistance and navigate on a real-time basis. But, India is still at a nascent stage on the technical know-how of telematics, as there are many factors involved in the adoption of this technology. Apart from this, there are many challenges faced due to the increased motorisation, urbanisation, pollution and migration leading to severe road congestion. The registered number of motor vehicles is expanding at a CAGR of over 10 percent as against a mere 4 percent growth in road networks. Thus, there is a need to better the vehicle safety standards, build higher awareness about road safety among drivers and the general public to enforce safety laws and establish a more humane post-crash response. After all, life is too, precious to be left to chance.